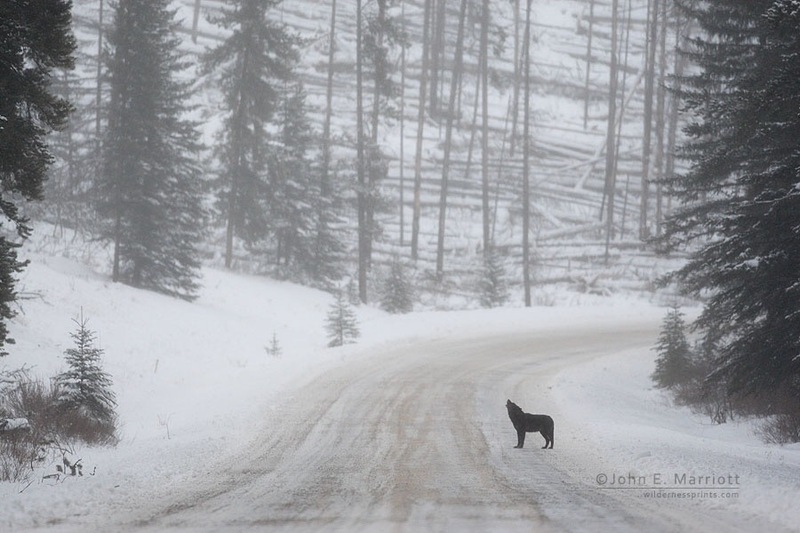 Wolves may be recovered enough to delist but are individual states prepared to protect them? The letter from 26 scientists states that wolves have recovered enough in the Great Lakes region and do not need protection under the Endangered Species Act. Recovery of wolves has made great strides over the last four decades in the region with a population of over 3,700 wolves. States caved in to the pressure from sportsman and agricultural special interest groups. Wolf recovery ended and trophy hunting of wolves began. Wisconsin went as far as to stack wolf management in favor of hunting interests. The majority of the seats on Wisconsin’s Wolf Advisory Committee consisted of hunt clubs. (WI Bear Hunters Association and WI Bow Hunters Association to name a few). Is this an example of how Wisconsin protects an endangered species? Can states be trusted to manage wolves? Science not hatred must be the deciding factor in the fate of America’s wolves. That’s why (January 2015) the Humane Society of the United States, along with other wolf advocacy groups signed on to a letter sent to Secretary Jewell asking to downlist wolves from protected to threatened status. This is a compromise that would allow farmers and ranchers to address any concerns but not allow the hunting of wolves. Threatened status was rejected by Secretary Jewell proving states are not interested in a compromuse that would protect wolves. Wolves must remain under federal protection until individual states, such as Wisconsin, can learn how to protect an iconic species. Scientists have just begun to understand how essential wolves are to maintaining healthy ecosystems. Hunting wolves as a management tool only serves special interest groups bent on eradication. Will individual states be trusted to protect wolves? letter you signed suggesting that the wolf should be delisted (i.e., no longer protected as an endangered species) in the Great Lakes states of Michigan, Minnesota and Wisconsin. I will tell you why I do not agree with the arguments proffered in that letter. It suggested wolves need to be hunted because an (assumed) increase in killing of dogs and farm animals by wolf packs would occur if wolves remained protected — and because such depredations (supposedly not caused by any other species) would surpass a “socially tolerable” number of such occurrences. I imagine the argument in support of the above is based on the premise that Wisconsin’s wolf packs would run out of natural prey in the northwoods? necessary prerequisite, as is the banning of cervid farms, if we wish to support recovery of wildlife and of the natural balance that once prevailed among all creatures living together in the Great Lakes region of North America for thousands of years…until now, that is. Please see my research (attached). It is in the form of a comment regarding the DNR’s management of a once-healthy wild deer population in Wisconsin. I look forward to hearing from you in this regard, if that would be agreeable to you. I believe the citizens of Wisconsin will have a lot to say in any open, public conversation regarding any necessary reforms that are both reasonable and scientifically supported if we hope to create a society where humans and domesticated animals can live as neighbors with wildlife again, in a way that is mutually respectful. There are no socially tolerable levels, in my humble opinion, of the kind of barbaric trophy hunting and torturing (by hunting dogs and their “owners”) of trapped wildlife, including wolves, or the running down of wolves by dogs, or the baiting of wildlife by hunters. And Finally, the DNR’s apparent lack of effective deer health management practices has decimated the wild deer population. Wisconsin’s 600 or more deer farms are implicated in the destruction of the state’s wild deer population and should probably be banned in the future. The wolves need to be protected until we can treat all animals and each other with respect — and we humans have a long way to go before accomplishing that. I look forward to your response. Thank you for your kind attention. WODCW archive written In 2015.